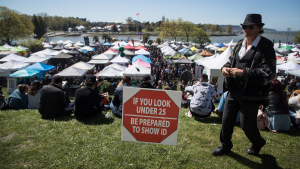 Starting next year, people heading to events at Rogers Arena may be subject to a new type of artificial intelligence security screening never used in Canada before, and those being scanned may never even know it. U.S. security technology company Liberty Defense Technologies which has an office in Vancouver, has signed a Memorandum of Understanding to bring a screening tool called “HEXWAVE” to Rogers Arena as part of a testing pilot. 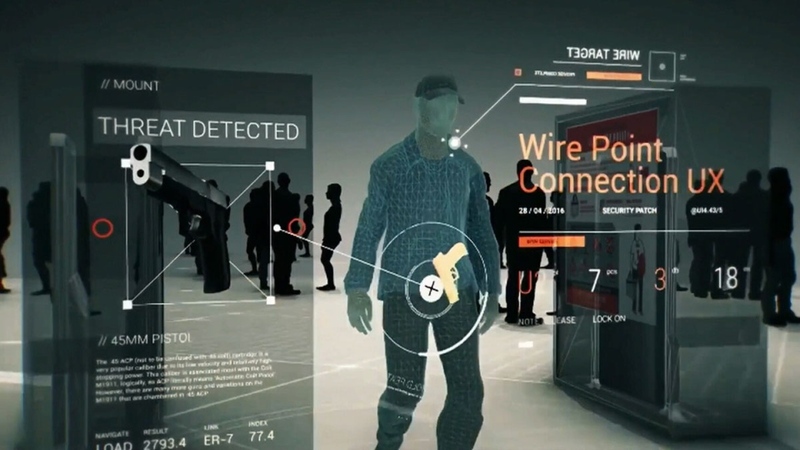 According to the company, the screening is done with concealable panels that use a low power radio frequency emission to capture a reflection of a person’s body and any type of weapon they may be carrying, it then creates a digital 3D image of any possible weapons. The image of the item is then analyzed by artificial intelligence algorithms embedded in the units. That system then determines if that item is a threat, and flags it for security personnel to respond to. "We are not looking at a person's body or retaining any of that information," Liberty Defense CEO Bill Riker told CTV News when asked about privacy concerns. "We are focusing on the article of interest. And it’s that article that is analyzed by the artificial intelligence." The technology is expected to be tested at Rogers Arena by early 2020. What the testing may look like has not yet been worked out with security staff at Rogers Arena, Riker said. "It’s going to depend on the security team. We are really providing the tools that will make their job easier." It’s possible people attending sporting events and concerts may have no idea they’re being scanned by the new technology. Riker says the system has the power to collect additional data, but what data is collected is up to the organization using the devices. Francesco Aquilini, who owns the Vancouver Canucks, is an advisor for the company. "It’s his willingness to entertain allowing this to occur," Riker said when asked about Aquilini’s role in allowing the technology to be tested at Rogers Arena. "Clearly a man with that kind of vision in the entertainment world wants to do what’s best for his customers. This is an opportunity to enable that." Riker says Rogers Arena will likely be the only Canadian site to be part of the testing, but it may also be tested in U.S. markets around the same time. Riker believes the technology has the potential to improve safety from attacks using weapons, not just at sporting and concert venues -- but also in places like hospitals, places of worship, government buildings, school and corporate campuses, and in land transportation, like on buses and trains. "We are trying to improve the safety of our communities," Riker said. "And also provide that peace of mind everyone deserves and expects." A still image from video about HEXWAVE is shown.